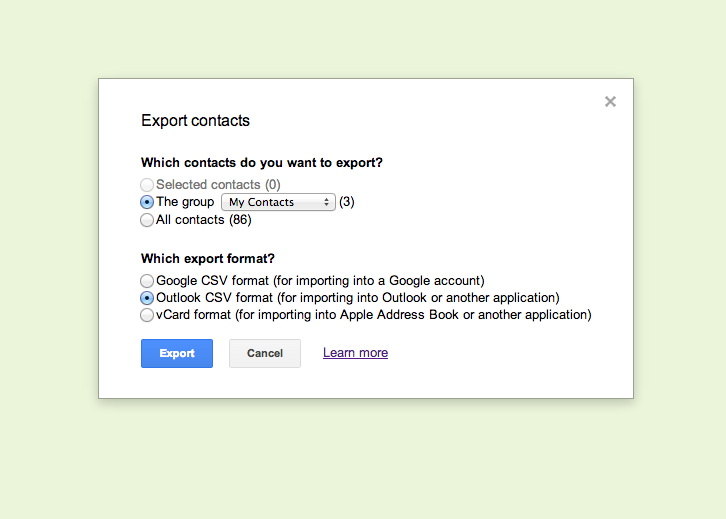 In Google Contacts you have the opportunity to export your contacts into Ubivox. You must be logged in to your Google Account first. 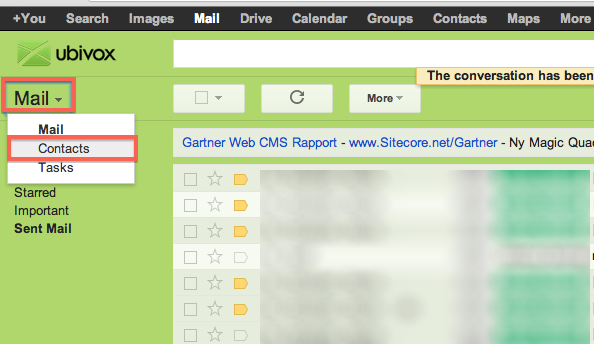 1) Click on Mail in your Inbox and chose Contact. Your contact list will now appear. Use the raw files from Contacts-export - find them in your Download folder. There will probably be columns that should not be used in the import process, you can be delete these by opening the file in the Office package (LibreOffice). Next, delete all irrelevant columns, except the name, surname and e-mail address. Then save it as XLS format. It is now be ready to be imported to Ubivox.